…That Don’t Taste Like Cardboard! There’s a big fat elephant in the room that we all need to address as a nation: 63.4% of Australia’s adult population is overweight. There is plenty of speculation as to why this is, but making healthier food choices is a big step in the right direction to turn this epidemic around. Making healthy food choices however when we’re pressed for time at home and spoilt for fast food around the office can be tough, but here are 7 healthy, easy to prep snacks for eating on the job that taste surprisingly unlike cardboard. 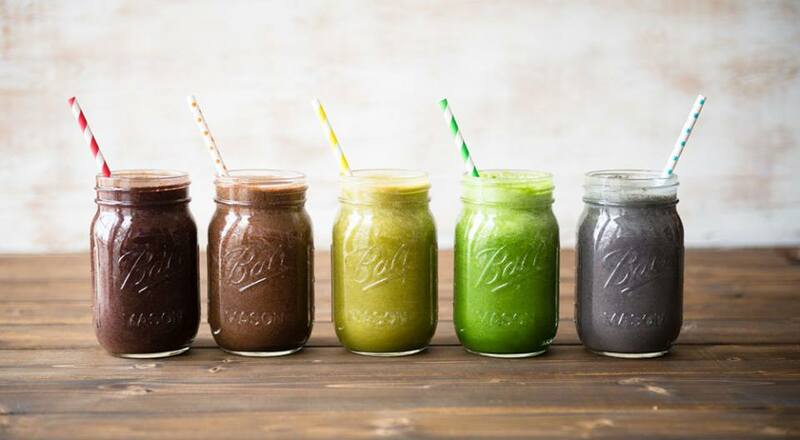 Start your day with a green smoothie and whatever’s leftover, pop in a protein shaker and take to work for morning tea. Or if you’d prefer the extra 15-minute sleep-in during winter (totally understandable), order some pre-packed, freshly frozen, perfectly portioned and ready to blend smoothie mix from Sydney’s Smoothie Box. Simply choose your flavours, get them delivered to the office, add water, blend… Enjoy! Before you run off and Google “Is dried fruit actually good for you“, let it be said that there’s no substitute for fresh fruit. 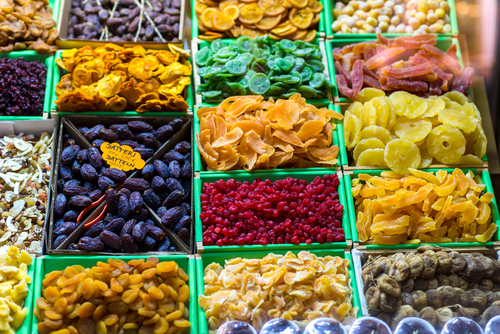 If you don’t want to citrus-blast your co-workers however, dried fruit is a great alternative. Not only is it convenient (long shelf-life, no refrigeration required), but it can also boost your fibre, nutrient and antioxidant intake. Don’t go overboard (a handful a day is ample to reap the benefits of dried fruit without sending your sugar and calorie intake into overdrive. If you’re feeling adventurous (or just want to avoid sneaky added sugars and preservatives) try drying your own fruit in the oven. 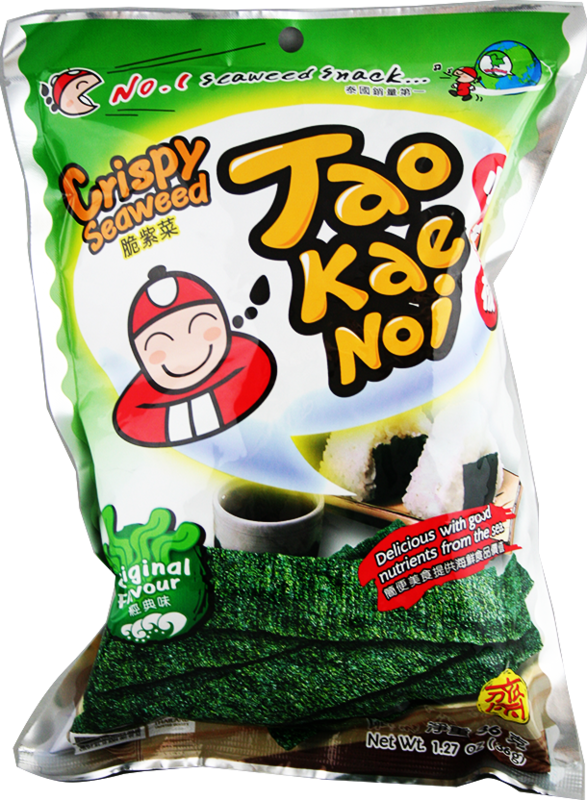 While the texture of seaweed is arguably similar to that of cardboard, the taste is far from it. These low-calorie salty strips are not only high in vitamins A and C and calcium, but they also boast high levels of iodine, potassium, selenium, iron and magnesium, thanks to the high concentration of these elements in seawater. And for the office vegans, you’re in luck – this stuff is one of the only natural, non-animal sources of vitamin B-12! Step away from the butter and nobody gets doused! 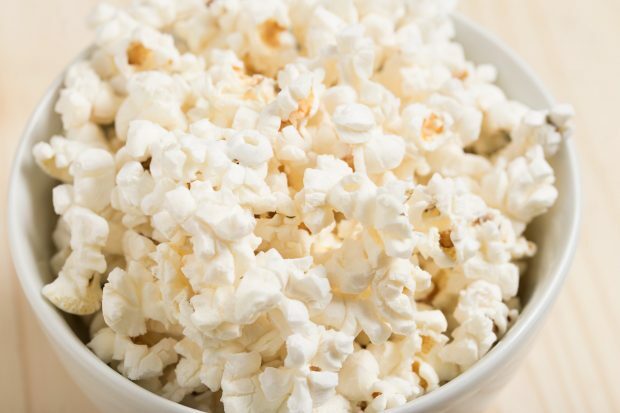 We’re not talking about the kind you get at the cinema, but the air-popped kind that can be deliciously flavoured with the cinnamon, red pepper flakes, cumin, turmeric or dried rosemary stash you’ve got hidden away in your desk, safe from opportunistic co-workers. Pop a 1/4 cup of kernels in a microwave-safe bowl, cover with a microwave-safe plate and zap it for around 2 mins 45 seconds… Viola! All together now… “Moh-duh-ray-shun”. Unless it’s 70% cacao or higher, it realistically shouldn’t be in your trolley. 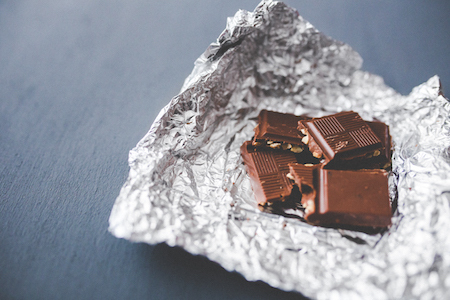 “Cacao is a great source of magnesium, which is a natural stress-reliever,” says Dietitian and Nutritionist, Brittany Kohn. Don’t take the whole block into work – nobody has THAT much self-discipline. Instead, break off a couple of pieces for the office so you won’t be tempted to overindulge (and no-one will ask you to share). Edamame beans (also made famous by the Japanese) are packed with protein and can satisfy snackiness just as well as almonds and other nuts, but with much less fat. Chickpeas are another great source of protein, fibre, folic acid and manganese. 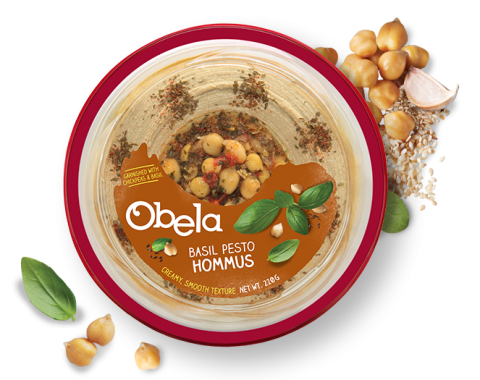 While often served as hommus for a quick and easy vegetable dipping snack (carrots, cucumber and capsicum work a treat), there are various other ways to incorporate chickpeas into your office lunch. Rip and dip Greek yoghurt is an office hit for obvious reasons – it’s quick, it’s healthy (far less sugar and carbohydrates than regular yoghurt varieties) and it’s versatile. 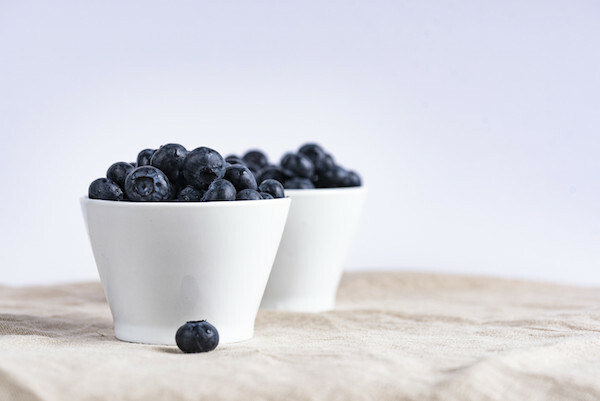 Throw in some fresh blueberries for a burst of antioxidants and you’ve got yourself a calcium and protein-rich treat that won’t hang around on the hips. The benefits of Greek yoghurt are no longer a a secret, with production quadrupling from 2008 to 2013! If you need a helping hand preparing healthy, delicious snacks to take to the office, check out these 13 subscription boxes that bring health foods to you. 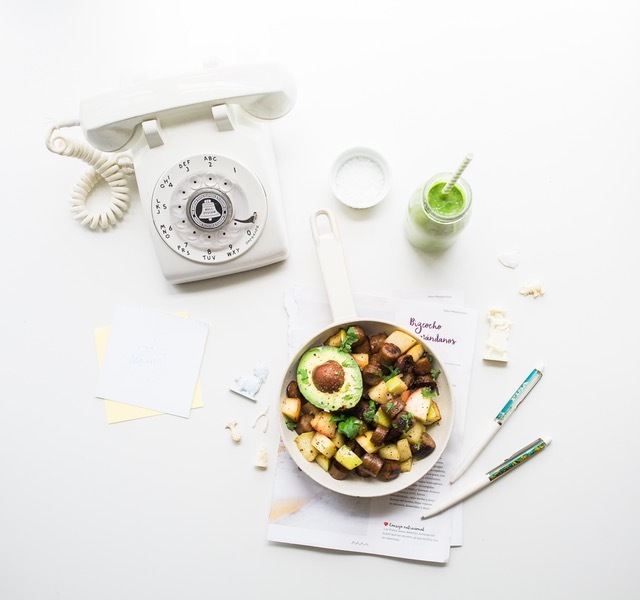 Making healthier food choices is only half the battle – regular exercise is also required if Australia’s office workers are going to beat the stats, so make sure you step away from the desk for lunch. Not only will a walk around the block help with digestion, but it will also save your keyboard and desk accessories from lingering food crumbs. Did we mention your computer keyboard can contain more bacteria than a toilet seat? Eeew, right? If you HAVE to eat at your desk to meet the occasional deadline, contact CompuClean for a free pocket hand sanitiser to use before a snack-attack and book in an office equipment health check to ensure your desk and office accessories are sanitary enough to enjoy your healthy lunch without risking bacterial contamination.